These days money and technology go hand in hand. You can do all of your shopping online, literally. You can get food, ready to eat or fresh for preparation, delivered right to your door, and anything else you need for your home or your life, and you don’t even need to have cash to do it. Most of these places prefer you use your credit or debit card, and even prefer it. With The invention of tablets and smartphones, you don’t even need to be sitting at your computer in order to use your credit cards, for buying or paying them off. Here are some of the ways your technology has made it easier to deal with plastic cash. You can more easily apply for credit cards these days, now that you can simply hop online and search for the card that is right for you. It used to be that you had to fill out a paper and send it in, risking that someone might get your social security number from it. With online applications, there is still a risk, but it’s much less a great one. Take some time to find a good credit card deal for your particular credit score. Even people with bad credit can find 0 APR cards and lower interest rates. The internet has also made it much easier to make your credit card payments. You just sign into your account and schedule a payment, early or for the day it’s due. You likely have the option to set up automatic payments as well. You could pay only the minimum due, or save yourself some money on interest by paying more or paying cards off fully on a monthly basis. It’s pretty likely that the bank your credit card is through has an app. Download that app on your smartphone and you can always have a direct line to your available funds. This makes it easier to make sure you’re not maxing out your card, or trying to pay for stuff with a card that doesn’t have enough funds available on it. You can also keep an eye on how much is available on your card, and when you’re due for an increase in those funds. If you think you’re overdue, or you need more money for a specific purchase, you can also find a spot on the credit card website to request an increase (the worst they do is say no). 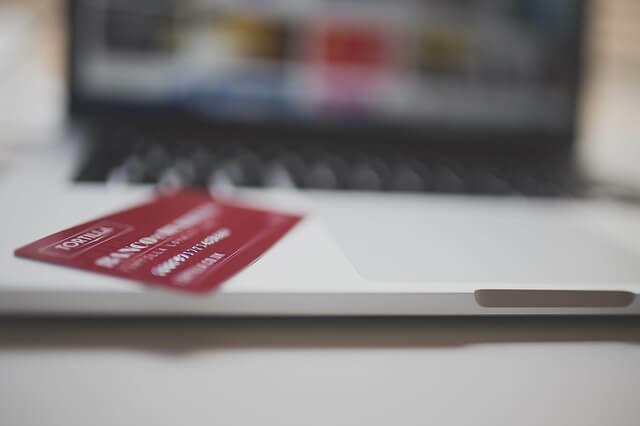 Being able to watch your credit card account online will also help you detect fraudulent charges sooner, and get them dealt with before they do too much damage. It really pays to sign into your account at least a couple times a month just to make sure things are going smoothly.